Product categories of Silicone RFID Keychain, we are specialized manufacturers from China, RFID Silicone Keychain, RFID Silicone Keyfob suppliers/factory, wholesale high-quality products of Silicone Waterproof RFID Keychain R & D and manufacturing, we have the perfect after-sales service and technical support. Look forward to your cooperation! 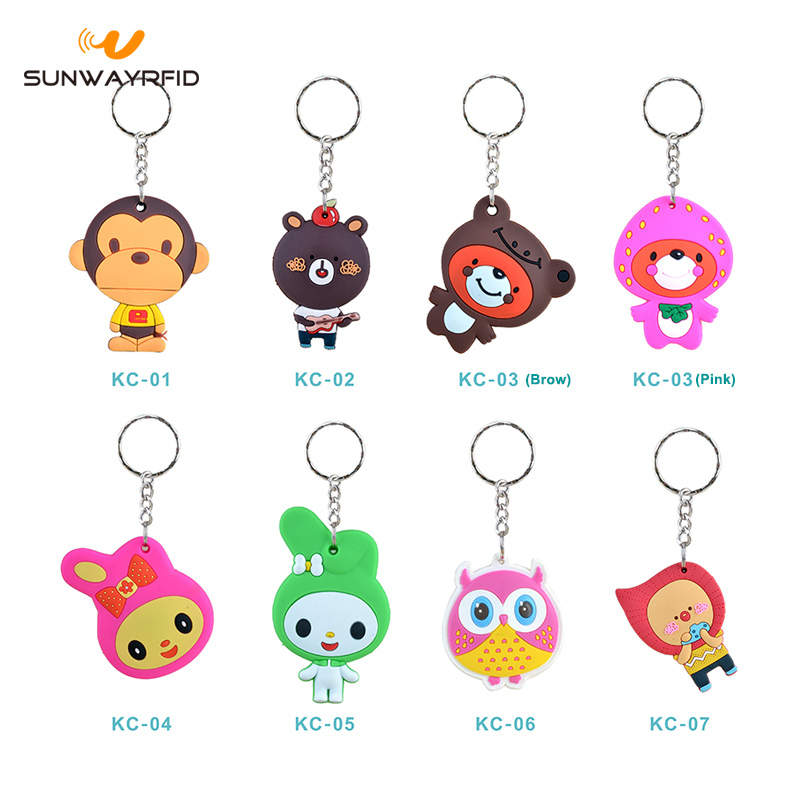 SunwayRFID provides the Silicone RFID Keychain with lovely and popular carton images, like monkey, bear and berry and so on. If you want a custom keychain, please let us know, any shape, color or material should be customized. Silicone RFID Keychain all waterproof, and resistance to high temperature, can go with you to anywhere, and durable use. Silicone RFID keychains widely be used on access control areas, identifications, door keys, attendance and parking lots and so on. RFID keychain can be embedded 125Khz chips like Tk4100, EM4200, T5577, EME44305 and Hitag etc. RFID keychain can be embedded 13.56MHZ chips like Ntag213, NTAG215, NTAG216, Mifare Classic, Desfire EV2/EV2, Plus X, Plus SE, ICODE, Ultralight, TI 2084, Topaz512, and F08 etc. RFID keychain can be embedded 860MHZ-960MHZ chips like Alien H3, Alien H4, U-Code Gen2 and Impinj M4/M5 etc.